An aspiring engineer, architect or simply a child with a blooming imagination will be able to let their creativity soar with Be Good Jawbones. What a child can construct with the pieces of varying shapes, sizes and functions has endless possibilities with this buildingsystem. The Jawbones set has construction pieces that swivel, ratchet and snap together in countless ways. Each set comes with a variety of colorful pieces, a model instruction book and a storage jar. The sturdy construction allows the junior architect to play with his or her creation after making it. You can make cars, planes, trains, castles and kids are always finding and testing out new designs. Jawbones brings out childlike play in everyone, both young and old. The ability to construct as your mind concepts a specific design and then play with your creation is truly something special. An aspiring engineer, architect or simply a child with a blooming imagination will be able to let their creativity soar with Be Good Jawbones. 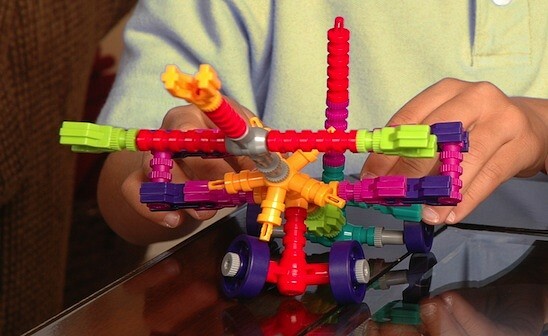 What a child can construct with the pieces of varying shapes, sizes and functions has endless possibilities with this buildingsystem. The Jawbones set has construction pieces that swivel, ratchet and snap together in countless ways. Each set comes with a variety of colorful pieces, a model instruction book and a storage jar. The sturdy construction allows the junior architect to play with his or her creation after making it. You can make cars, planes, trains, castles and kids are always finding and testing out new designs.